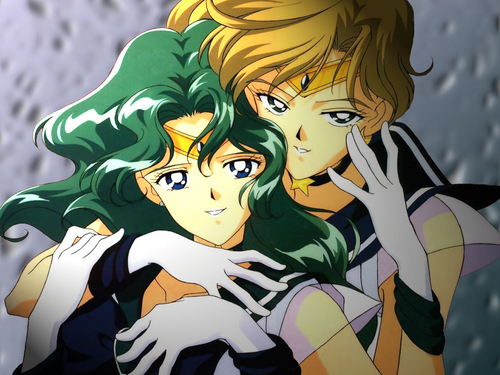 This Sailor Uranus and Sailor Neptune wallpaper might contain anime, comic kitabu, manga, cartoon, and mkono. The most stunning yuri couple ever! !